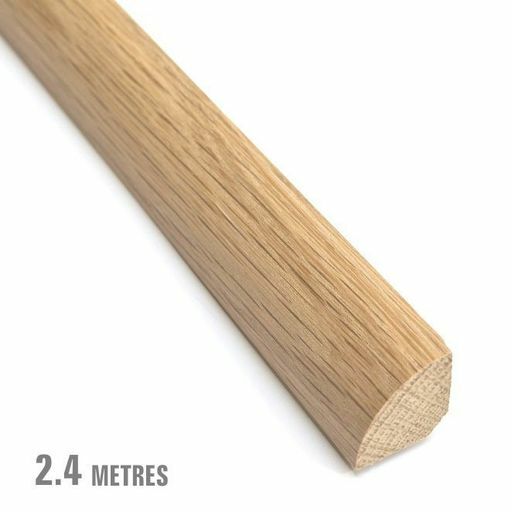 Solid oak quadrant beading in 2.4 meters length - normaly fixed to the skirting board to cover the expansion gap at the edge of the flooring. Very effective. 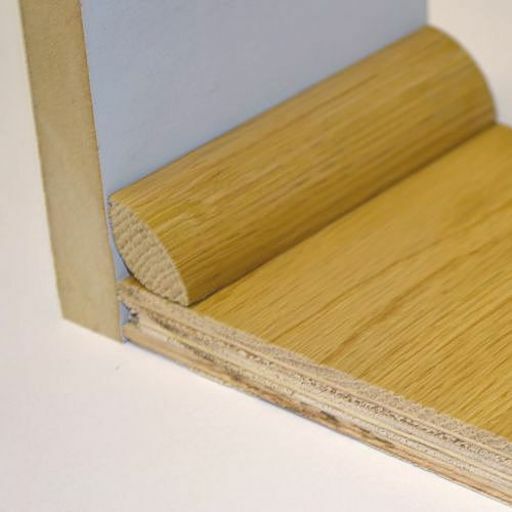 This item is supplied unfinished and can be stained, lacquered or oiled as required. This product is also available in 2.2 m, 2.0 m and 1.8 meter lengths. A nice beading which I finished myself to match my dark flooring, easy to install.